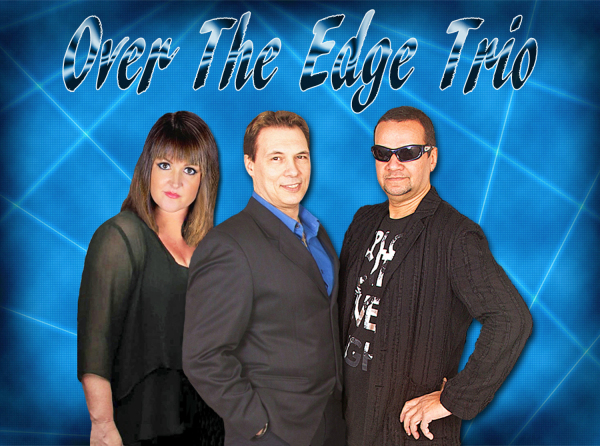 Over the Edge Trio is an offshoot of the band “Over the Edge”- a very versatile band performing around Sydney as either a Dance/Party Band or A Show Band. They have been in business for over 20 years and genuinely enjoy the music they play and it shows on stage. But most of all, they play the music you like to hear and groove to. Their repertoire is very extensive and covers popular dance & party songs from the 60’s to Now. Their aim is to make you forget all your troubles for a while, get you up on the dance floor and keep you there all night long.